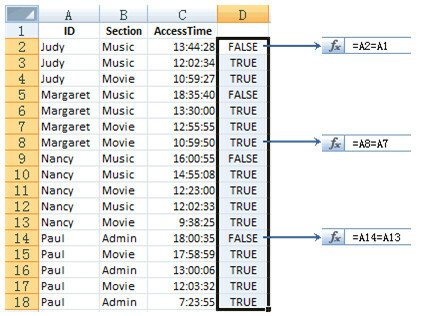 Below are access records of a website’s each section, you want to find the last access record of each user. 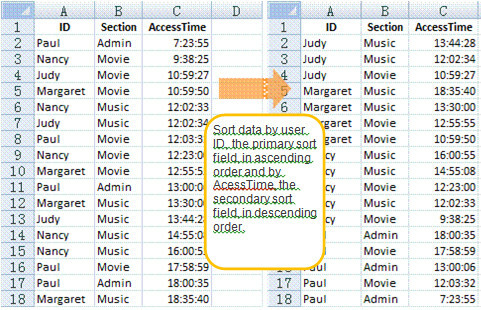 To calculate the maximum value for each of the multiple groups in Excel, in addition to monitor the change of users after sorting, you can also perform group and aggregate to obtain the last access time of each user, add a computed column and check if each access time is equal to the last access time, and then perform filter. Obviously, this method is more complicated. 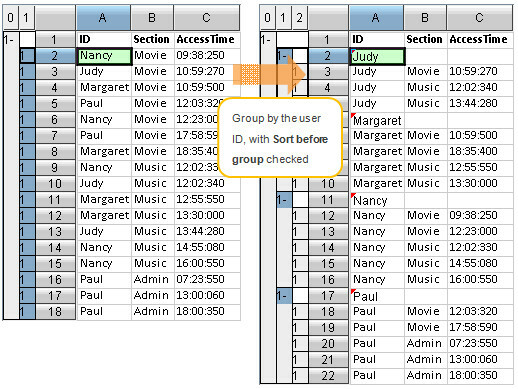 Because the filtering criteria for different users differ, such a problem has no direct solution with Excel. Users will have to approach the problem from a different angle by introducing intermediate variables as the filtering criteria. Such a solution needs a change of thinking, is not intuitive and increases the difficulty in solving the problem. With esCalc, the desktop BI software, a filtering expression will be automatically and intelligently migrated according to various positions. 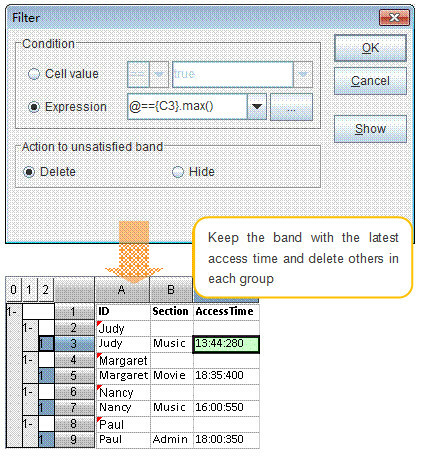 Therefore, you can conveniently keep the record with the maximum value for each group and meet the complicated filtering requirement. Additionally, you can remove or hide the ineligible records as needed.